Speaking of sweet, fragrant, fresh and wild, here’s another easy side dish recipe. Thought I’d share before 2013 ends. Happy 2014 to all, may our new year be sweet and filled with gratitude. The fresh, cute, and candy-like grape tomatoes always make wonderful salad and snack. 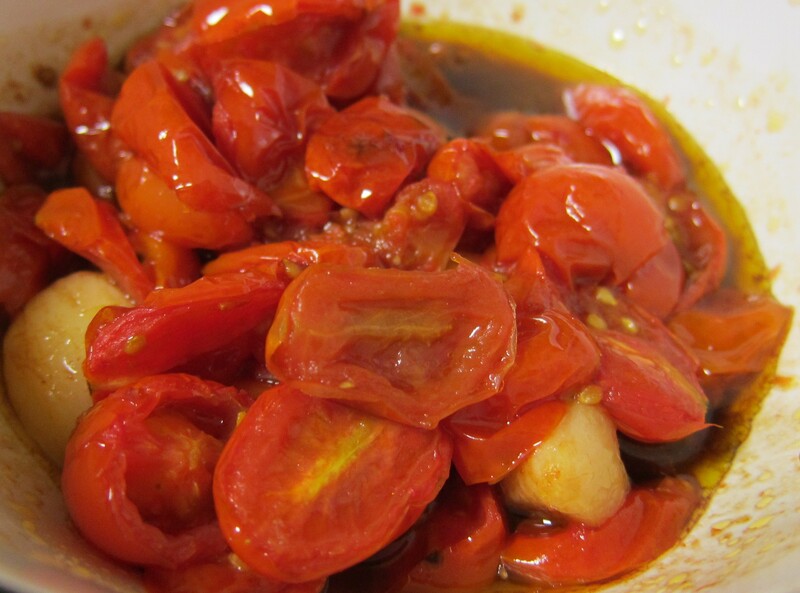 A recent eat-out at, an oldie but goody, Italian restaurant gave me a delicious alternative on how to enjoy them: roast and drizzle them with balsamic! Oh, how they became even sweeter! Optional: Make it peppery by adding arugula!